The Microsoft Institute for High Performance Computing was created in November 2005 at the University of Southampton. This Institute is the only one of its kind in the UK (the only other European Institute is in Stuttgart) and one of a total of nine institutes worldwide. 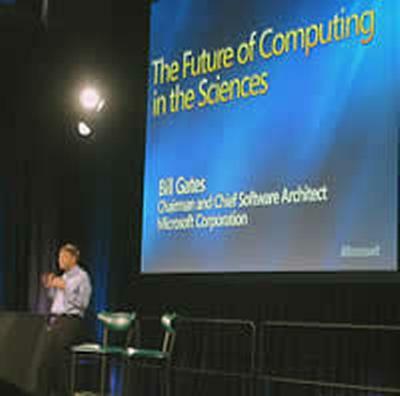 Bill Gates, Microsoft Chairman and Chief Software Architect, announced the creation of the institute during his conference keynote speech at Supercomputing 2005 in Seattle. Led by Professor Simon Cox and Dr Kenji Takeda (before he left to join Microsoft). the Institute pushes state-of-the-art technologies to tackle real-world scientific and engineering problems. World-class researchers in the School of Engineering Sciences work closely with industrial partners that span the aerospace, automotive, bioengineering, marine and telecommunications sectors. Professor Cox explains, "Our aim is to demonstrate why, where and how we are exploiting current and future Microsoft tools and technologies to make the engineering design process faster, cheaper and better." The application of numerical optimisation in engineering design using sophisticated modelling and analysis tools can provide a vital competitive edge to companies. Engineering design is an iterative, multidisciplinary process that is often data intensive and computationally expensive due to the application of high fidelity analysis models for the simulations of physical phenomena. In the past few decades, engineering design has become increasingly dependent on computing and IT to underpin the process of design from initial modelling and analysis through optimisation to fabrication and testing of prototypes.